A disturbingly high percentage of the world’s automated teller machines (ATMs) are vulnerable to physical and remote attacks that can steal administrative passwords and personal identification numbers, to say nothing of cash, a security researcher said Wednesday at the Black Hat security conference in Las Vegas. Goodin reports that in a second attack against a machine from Triton Systems, Jack used a key available for sale over the internet to access the model’s internal components. He was then able to use a install his rootkit by inserting a USB drive that was preloaded with the malicious program. Both Triton and Tranax have patched the vulnerabilities that were exploited in the demos. In a press conference immediately following his talk, however, Jack said he was confident he could find similarly devastating flaws — including in machines made by other manufacturers as well. Jack said he was not aware of real-world attacks that used his exploits, but this foiled attack from earlier this year appears to involve many of the same techniques. “Every ATM I’ve looked at, I’ve found a game-over vulnerability that allows me to get cash from the machine,” he said. Goodin notes that in order to streamline his work, Jack developed an exploit kit he calls Dillinger, named after the 1930s bank robber. It can be used to access ATMs that are connected to the Internet or the telephone system, which Jack said is true of most machines. The researcher has developed a rootkit dubbed Scrooge, which is installed once Dillinger has successfully penetrated a machine. Jack said vulnerable ATMs can be located by war-dialing large numbers of phone numbers or sending specific queries to IP addresses. 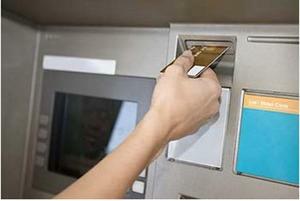 Those connected to ATMs will send responses that hackers can easily recognize. Jack called on manufacturers to do a better job securing their machines. Upgrades for physical locks, executable signing at the operating system kernel level, and more rigorous code reviews should all be implemented, he said. The talk came one year after a similar one was pulled last year.. Jack said the cancellation came because there weren’t patches in place for the vulnerabilities he planned to demonstrate. He said he was grateful for the extra year to research the vulnerabilities.